Anyone in need of a remodeling contractor in Northeast Ohio should consider Home Sweet Home. This remodeling company serves the areas of Medina, Fairlawn, Hudson and many more. Home Sweet Home can handle virtually any remodeling challenge. Whether it’s bathrooms, kitchens, roofing or even entirely new construction projects, Home Sweet Home’s expert staff is ready for the job. Furthermore, with their twenty years of experience in the remodeling industry, they offer invaluable variety for both residential and commercial services. For anyone construction project to be a success, there needs to be a solid plan to back it up. Home Sweet Home utilizes modern, 3D architectural software to develop your projects plan, providing an exceptional remodeling process. This software can produce impeccable 3D renderings of your project. You can see the finished product before the construction has begun. Home Sweet Home can also produce comprehensive blueprints of your construction project. The Home Sweet Home remodeling process eliminates many of the frivolous expenses and complications accrued in less-than-optimal processes, keeping consistent budgets and schedules with a team of expert tradespeople. Furthermore, in addition to being a leading Ohio remodeling contractor, Home Sweet Home works with some of the best Northeast Ohio architects, ensuring you always get what you ask for. Your bathroom should be a place of comfort and solitude, and Home Sweet Home can help turn your bathroom in a personal spa. Their expert staff will hear your concerns and desires for your perfect bathroom. They will also provide blueprints and 3D diagrams before construction begins. The experienced staff of Home Sweet Home can build you your dream bathroom. 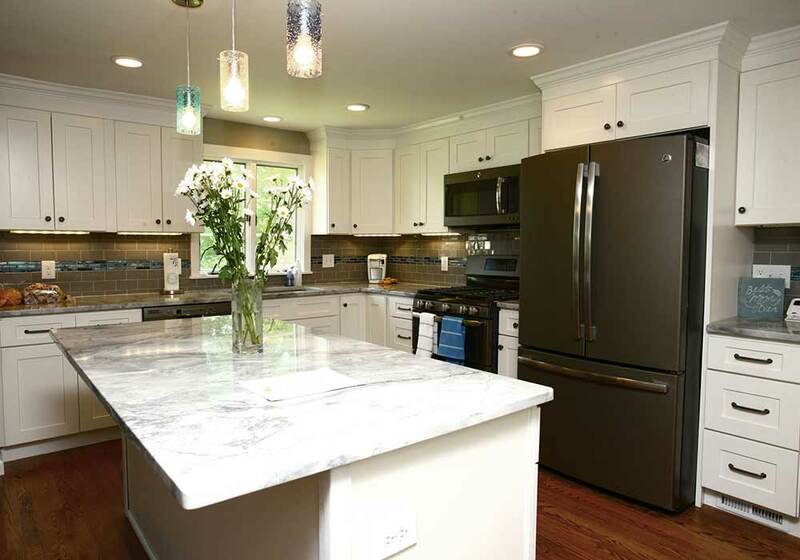 Home Sweet Home is a remodeling contractor with extensive experience in kitchen remodeling. With their help, you can display your kitchen with pride to all visitors. They will also create a floor plan that best utilizes your space, providing perfect flow for house guests. Kitchen remodeling is a strenuous process; therefore, hiring a trusted remodeling contractor is paramount. Home Sweet Home maintains its position as one of the most involved contractors in Northeast Ohio. They will work tirelessly to give you the product you want. They will use their staff and resources to the best of their ability. If you are searching for the proper remodeling contractor to reinvent your home, consider contacting Home Sweet Home Remodeling. They will not only give you a great finished product, but also a smooth and enjoyable construction process.